On May 15, 2014, Governor O’Malley signed the bill to enact the Maryland Trust Act. The Act took effect on January 1, 2015 and governs trust law in Maryland. The Act was needed for several reasons. Currently, there is no comprehensive codification of trust law in Maryland. The law is scattered amongst statutes and case law. Because of this, it is not readily available to individual trustees. An individual trustee who is not an attorney is unlikely to read and interpret a court opinion. The purposes of the Act are to fill in the gaps in the current law, create a readily available source of information that is codified in one location, help with the creation, management, and investments of trusts, and assist non-professionals with trust administration. Generally, there are no broad, sweeping, substantive changes to the existing law. It is important to note that the Act is a set of default rules. With the exception of a handful of mandatory provisions that cannot be drafted around, your estate planning attorney can tailor your trust to your and your beneficiaries’ needs. This means that the terms of your trust will prevail over the terms of the Maryland Trust Act where they differ. The Act establishes various affirmative notice requirements that are imposed on trustees. For example, a new trustee must notify qualified beneficiaries of their acceptance of the trusteeship. When a trust becomes irrevocable, the trustee must notify the qualified beneficiaries about the existence of the trust. Generally, a trust becomes irrevocable at the death of the settlor. The settlor is the person who established the trust. If a qualified beneficiary requests information about the trust, such as an accounting or a copy of the trust instrument, the trustee is required to respond and provide this information. The Maryland Trust Act applies to all trusts, whether created before, on, or after the effective date of January 1, 2015. An estate planning attorney can help determine if a trust is an appropriate estate planning vehicle for you and ensure that your documents are customized to your goals and needs. 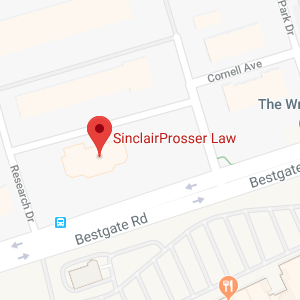 SinclairProsser Law is pleased to present a FREE Continuing Educational Seminar!